A small Syrah vineyard at the Hacienda Zorita Organic farm. They mainly use this wine as a rub for one of their cheeses. Long ago before my country decided to become foolish and voted by a tiny majority to leave the EU, I was invited to Spain as a guest of the Concordia Family Estates, which is a group of companies that is really on the rise. It’s run by some very passionate people and it shows. 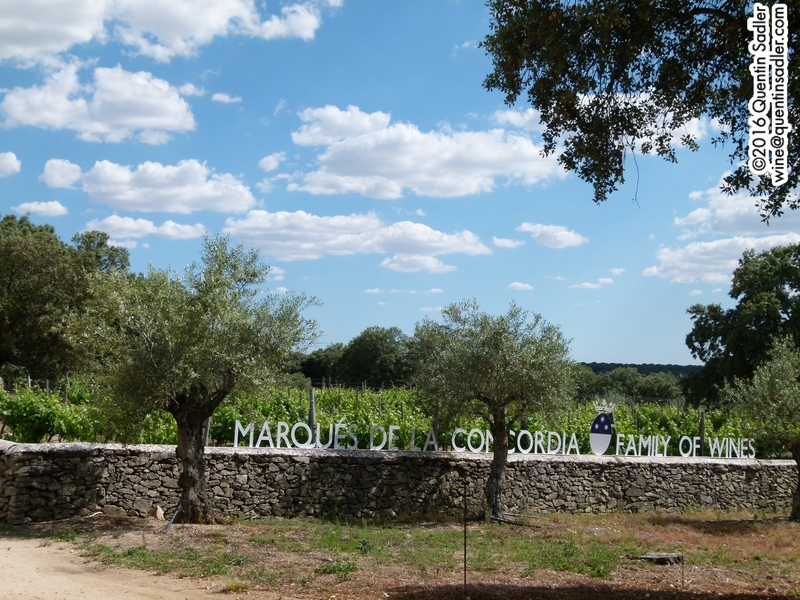 It all started with the Hacienda Marqués de la Concordia in Rioja Baja and over the years they have added other wineries, labels and brands to their stable. Bodegas Lagunilla was first in 1994 and since then Marqués de Monistrol have joined the group, allowing them to make some fine Cavas. 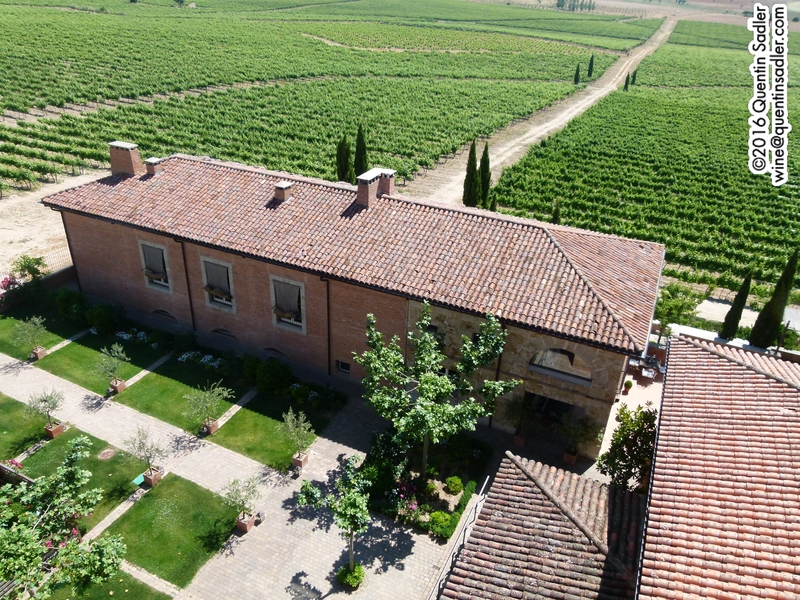 Federico Paternina added another famous Rioja bodega, while with Bodega Rioja Santiago they acquired the second oldest producer in the region – it was founded in 1870. In Rioja they also own Viña Alarde, which produces more modern styles of value for money wines. Further afield they also own an amazing estate in Andalusia called Ándalus which even grows Petit Verdot. I’ll be honest, this company – or these companies – have so many strings to their bow that it is very hard to get a grip on it, but it doesn’t really matter, because everything was wonderful and each component made sense. 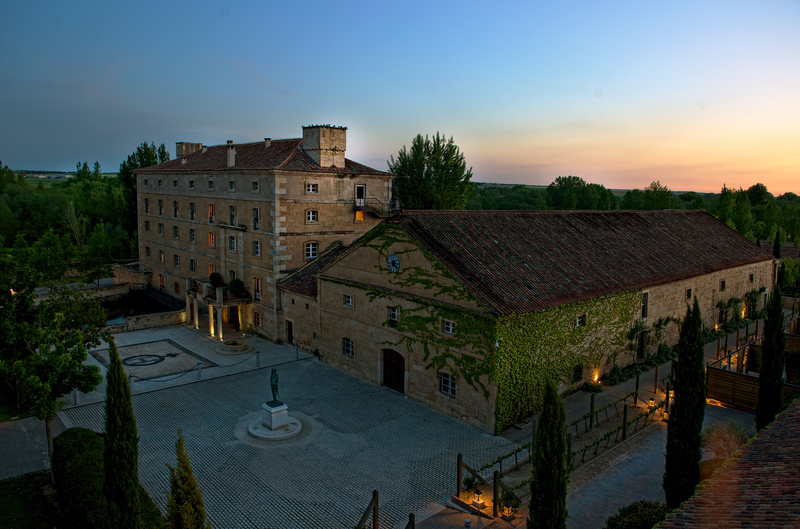 The beautiful Hacienda Zorita photo – courtesy of the hotel. 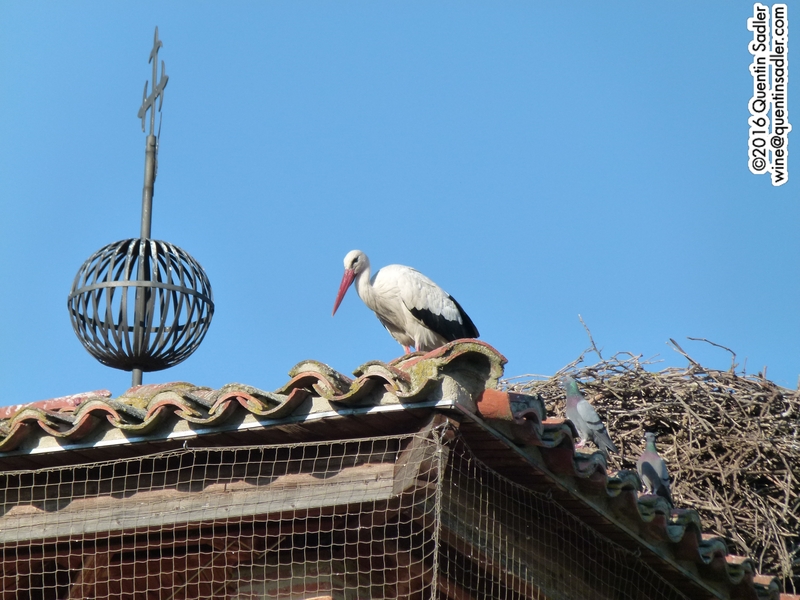 Storks are a common sight in these parts, this one is on the roof of the Hacienda. 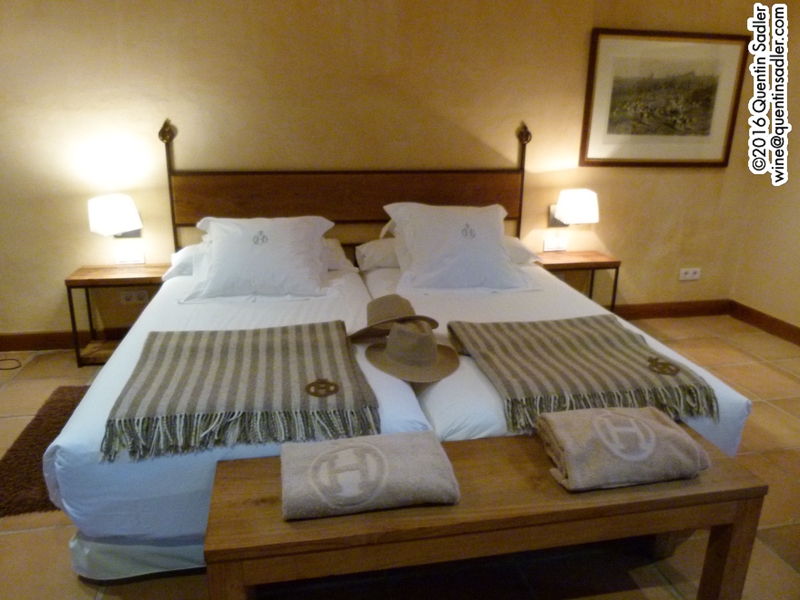 I was invited visit the Hacienda Zorita, which is a charming boutique hotel that belongs to the company, they call it the Hacienda Zorita Wine Hotel & Spa. It is a few kilometres outside the beautiful cathedral city of Salamanca and it really is idyllic. It dates back to 1366 and was both the hospitality buildings for the local Dominican Monks and their farm, complete with water mill to make their bread – amazingly they say that Christopher Columbus – Cristobal Colon – came here when he was trying to raise funds for his first voyage. My very comfortable room at the Hacienda. 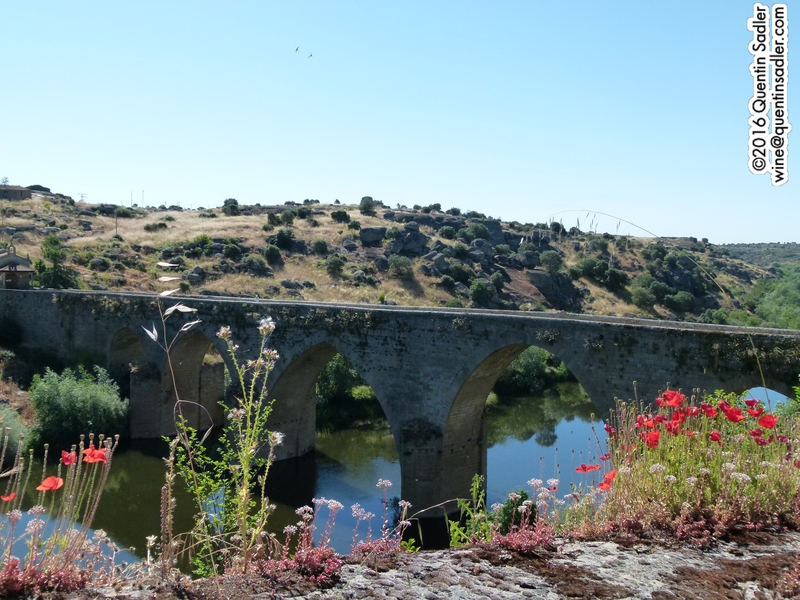 This is a wonderful part of the world and the Tormes River flows right by the Hacienda before winding the 40 or so kilometres to the border with Portugal where it flows into the Duero / Douro at Fermoselle in Arribes del Duero. 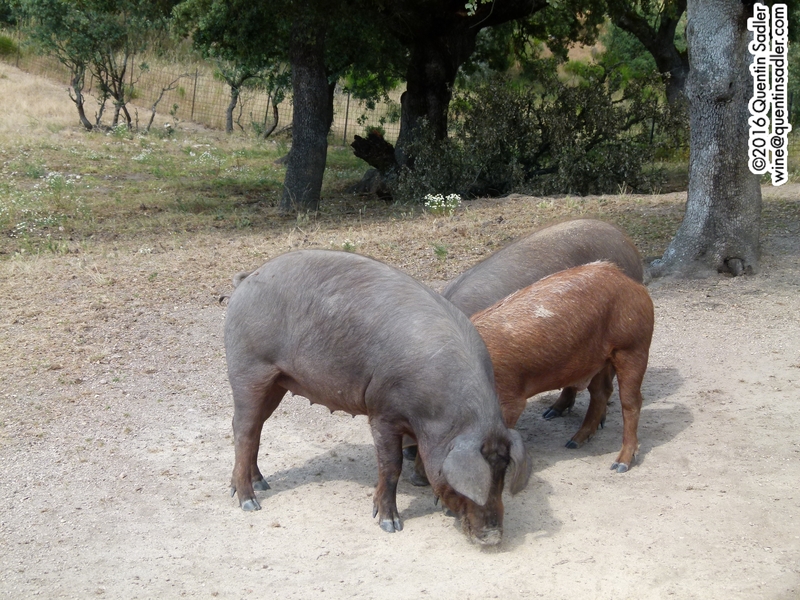 Not content with being in hotels and wine, the company is also into fine food production. 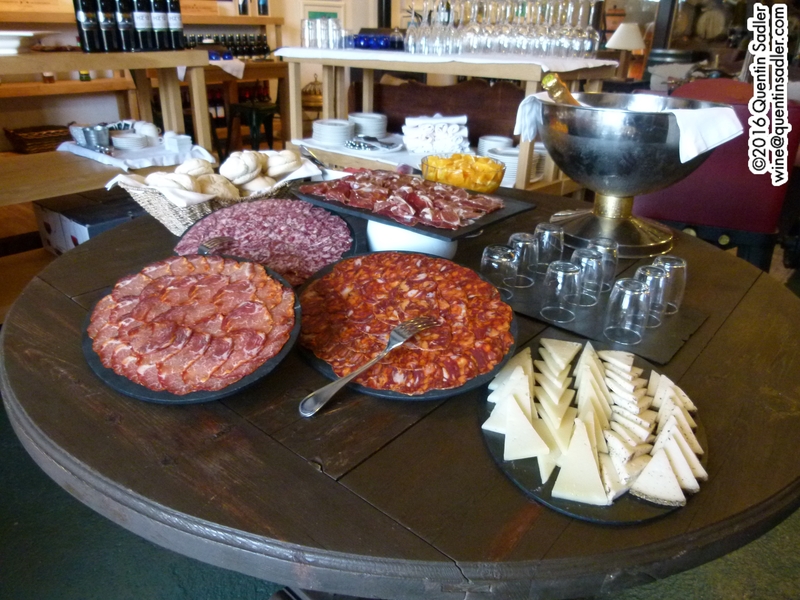 Many of their wine estates also grow olives and make superlative oil, but they also have an organic farm where they produce some stunning cheeses and the finest jamon and chorizo that I have ever tasted. They have recently started producing balsamic vinegar too, I got to try it and it is shockingly good, the older barrels were almost solid like toffee, but it isn’t yet ready to put on the market. 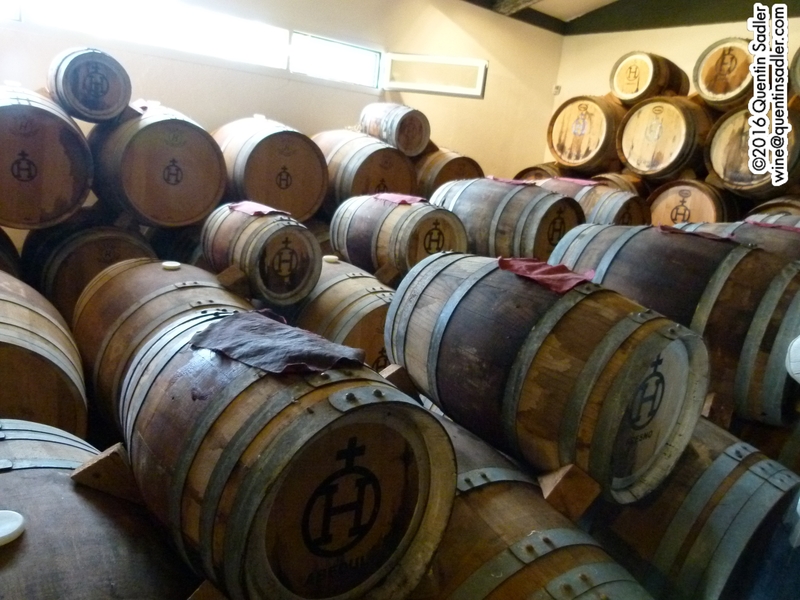 The balsamic vinegar ageing in different size casks, the older it is the smaller the cask as it evaporates. 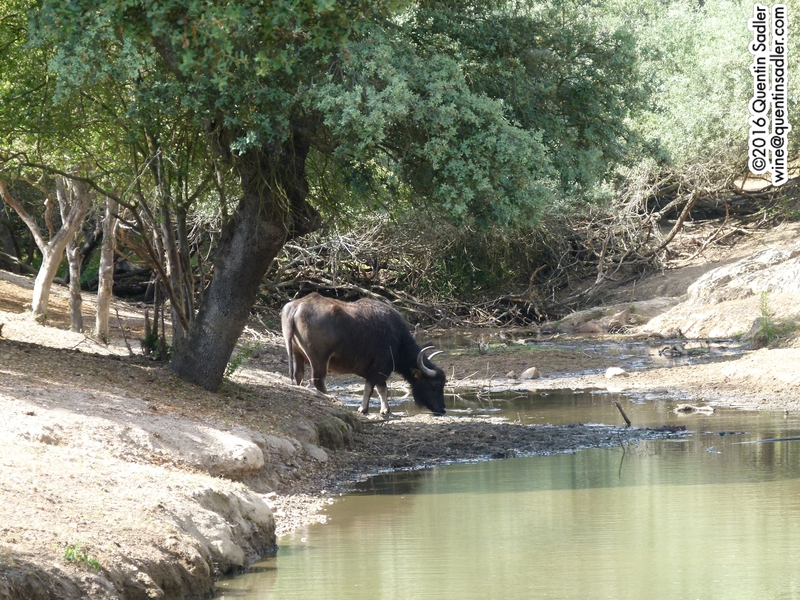 Not far from Femoselle and the frontier with Portugal they also have the Hacienda Zorita Natural Reserve, which is a wine estate in the wilds of the Arribes del Duero wine region and the Arribes del Duero Natural Park which also covers the Douro Valley over the border in Portugal. Traditionally this area grows Juan Garcia, a grape that is not particularly loved, but that can make very good things when treated right. 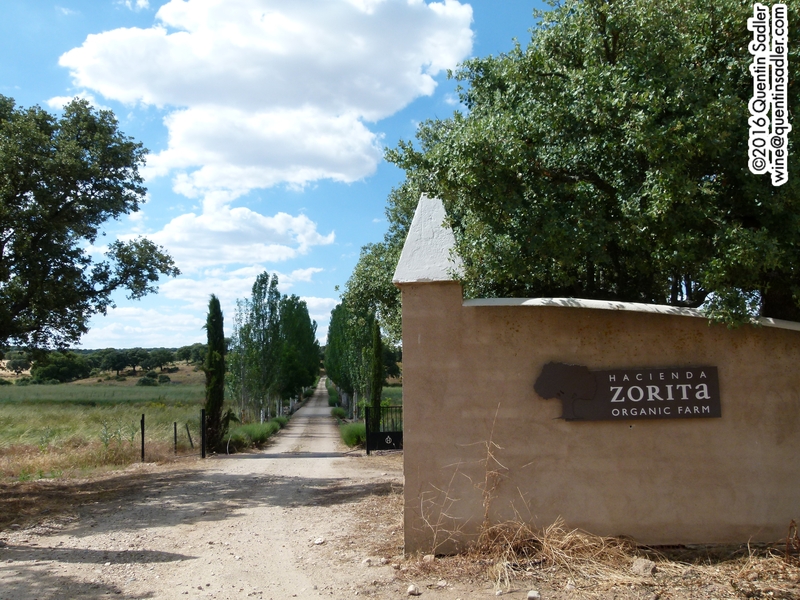 However at Zorita they decided to base their wines on Tempranillo, which is permitted in the DO. In addition, acting under advice from Richard Smart, they also decided to plant Syrah, and while this is not permitted in the local DO, it seems to perform very well indeed. 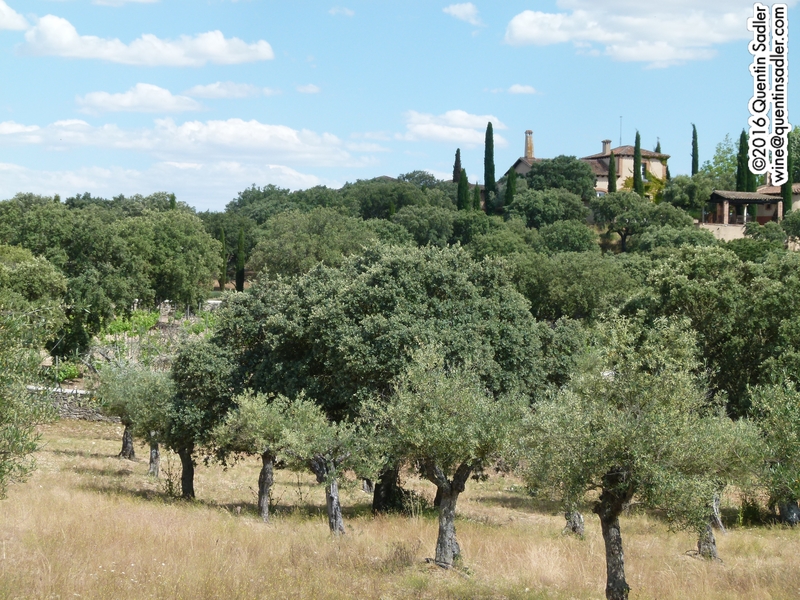 Hacienda Zorita Natural Reserve Unamuno Vineyard – there’s a billiard table at the top of that tower! The estate from the top of the tower. 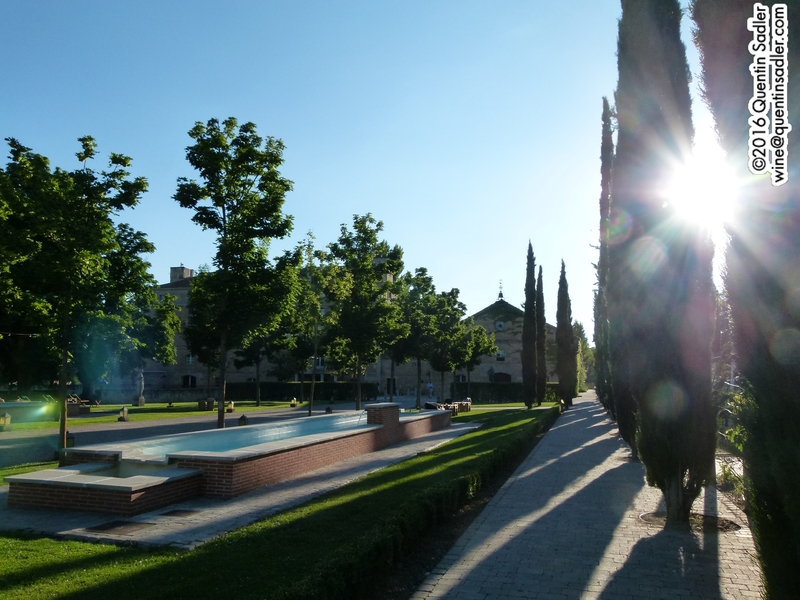 The estate is named in honour of Miguel Unamuno, who was a great writer and philosopher of the late nineteenth and early twentieth centuries. He was Rector of Salamanca University and travelled widely in the Duero Valley writing about his journeys. The presumably much repaired Roman Bridge over the Tormes River at Ledesma, just think how many people will have crossed that over the centuries. My ancestor William Sadler served under Wellington in the Peninsular War and some of Wellington’s army marched this way in 1812, so I might not have been the first member of my family to walk on that bridge. 70% Pinot Noir with 30% Monastrell aged 48 months on the lees. 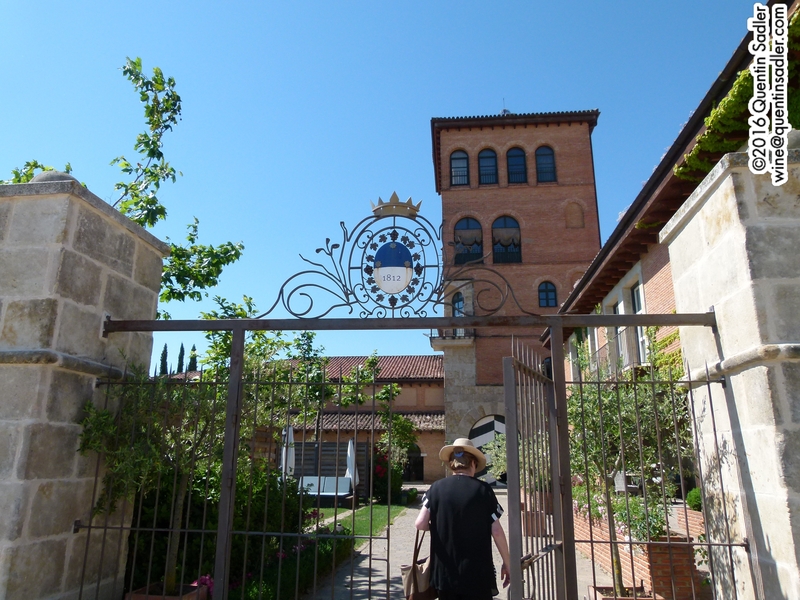 It was made at Mas Monistrol, the home of Marqués de Monistrol. Available in the UK from Amazon for £37.50 for a case of 3 bottles. I am a big fan of Rueda wines and think it is the most reliable white region in Spain. At the very least the wines never disappoint and the Verdejo grape is a terrific grape that is not unlike Sauvignon Blanc, but usually a tad richer and more herbal. This wine is basically a Verdejo with 5% Sauvignon blended in. The grapes were picked at night to retain the freshness. Cold fermented using aromatic yeast and then aged for 3 months on the lees. The nose has rich aromas, with a touch of olive oil, olives, ripe peach and a touch of apricot skin, citrus, some a little light pineapple too. The palate has quite a rich mouthfeel, textured, and again with an olive twist, peach skin and even a little spritz. It has a rich, fat style, with nectarine succulence and a slight feel of tannin, perhaps from skin contact. The palate is lightly creamy and is balanced by the zesty quality of lemon rind and grapefruit pith – 88/100 points. Available in the UK from Ocado for £10 per bottle and from Amazon where a case of 3 bottles is £22.57. 100% Syrah aged for 18 months in a mixture of French and American oak barrels. Unusually this offers bright, red fruit notes, as well as being lightly floral, a little earthy, with some tobacco and a little sweet vanilla too. Very supple palate, with lots of rich red fruit and good refreshing acidity making it feel svelte and poised. There are some attractive fine grain tannins and the oak makes it gently smoky. Avery attractive wine, the sweet vanilla works well and lovely juicy fruit is nicely kept in check. Nice tingling spicy finish blanks the bright fruit, it was very attractive to drink, but will become even more complex in 3 or 4 years time. Available in the UK for about £15 a bottle from Ocado and Amazon. 100% Tempranillo aged for 24 months in French and American oak barrels. This has a great nose, lifted, peppery and savoury, with some dark fruit, especially dark cherry. Earthy notes balance all that seductive power making it really attractive. Opens up in the mouth with a supple texture, still peppery, spicy, polished velvety tannins and lots of smoky, tobacco, vanilla oak. Very attractive stuff, but wow, this is a big modern, almost New World style Rioja – 90/100 points. The grapes are grown in the Abascal Vineyard, which is next to Vega Sicilia, one of the most famous wines in the world. This is pure Tempranillo – known as Tinto Fino in Ribera del Duero and it spends 18 months in American and French oak. The colour is black, dense and opaque. The nose is similarly ‘yuge’ with rich sweet notes of dark fruit, balsamic and fresh earth, black olive and bitter chocolate. The palate has loads of fat and richness, with cocoa, mocha and ripe black plum flavours. Rich and concentrated, fleshy and succulent, but there is some balancing freshness there too, the tannins are ripe and the it is dominated by a mixture of velvety fruit and sweet umami characters. A monster of a wine, but I really liked it – 90/100 points. The garden of the Hacienda just outside my villa. All in all I had an amazing time in a wonderful place and came back relaxed and restored. It wasn’t their fault that my country went completely mad on the night I got back – June 23rd 2016, a day that will live in infamy. It is an astonishingly beautiful part of the world, the hotel was a total joy, sitting in the garden there was one of those moments that I felt totally at peace, just staring into the velvety Spanish night sky. The wines were splendid, the food excellent, our hosts charming and for a brief moment all was right with the world. Do visit if you can and if that isn’t possible, try some of their wines, cheeses or jamon – it’s all available by clicking here. Olive tree at the organic farm.